The Great and Blessed Month of Ramadan has arrived. On this immeasurably happy occasion, the Islamic Forum of Canada wishes you and your family RAMADAN MUBARAK. * FIRST DAY OF FASTING: Wednesday May 16, 2018. * Please contact the Islamic Forum of Canada if you have any questions. Kindly pass this information to all your acquaintances. May Almighty Allah bless you and your family on this great occasion. 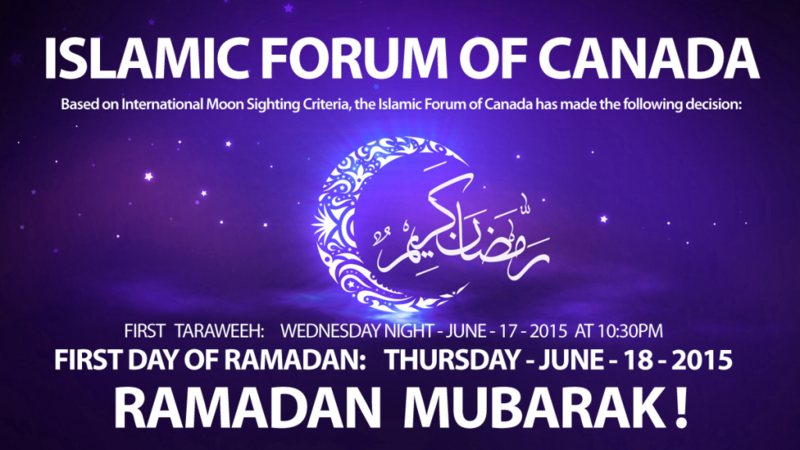 * Please visit the Islamic Forum of Canada FACEBOOK PAGE for Updated Information throughout Ramadan. As-Salamu `Alaykum. 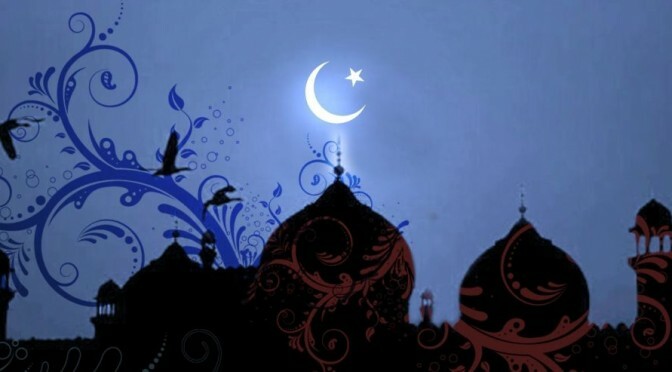 The Islamic Forum of Canada wishes you and your family RAMADAN MUBARAK. We invite you to bring out your family, relatives, and friends to participate in the TARAWEEH PROGRAM at the Islamic Forum. 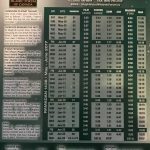 TARAWEEH PROGRAM WILL BEGIN AT 10:30 PM. INVITE YOUR RELATIVES AND FRIENDS TO COME WITH YOU. Make arrangements to attend the Taraweeh Program at the Islamic Forum. Invite your relatives and friends to come with you, forward this email to all your contacts. We have Iftaar Program every day during Ramadan. Bring your Dinner and join the Iftaar Program. We invite you to sponsor an Iftaar during this Blessed Month. Contact the IFC for Details. 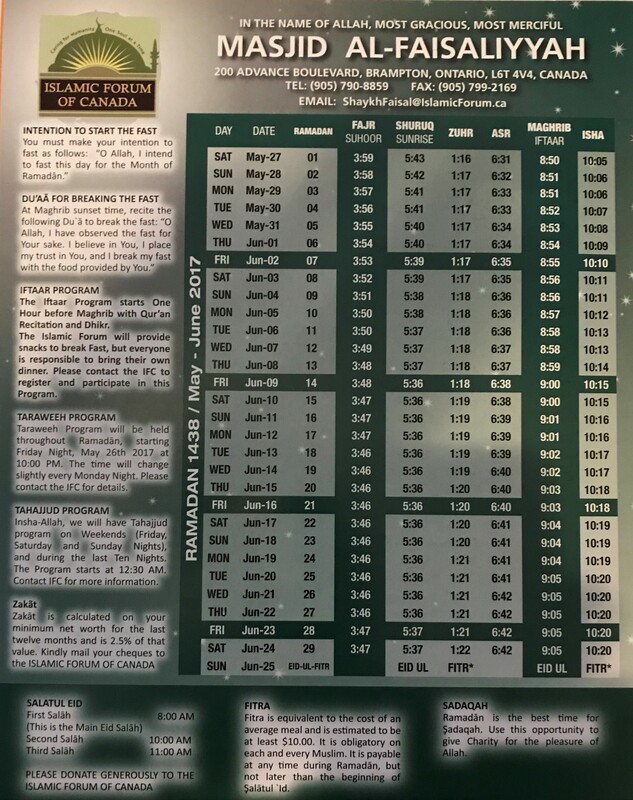 Invite your relatives and friends to come with you to the Islamic Forum of Canada for the Special Tahajjud Program. Sadaqatul Fitr must be paid in this Month of Ramadan (anytime before the Eid Salaah). It is $10.00 per person. Kindly send your Sadaqatul Fitr and Khayraat to the Islamic Forum. The best time to pay your Zakaat is in the Blessed Month of Ramadan. Kindly fill out the Zakaat Form, and send your Zakaat to the Islamic Forum. We have a Weekly Television Program. Every Saturday from 3:30 PM to 4:00 PM, on CTS TV Station, Channel 9. We need Financial Sponsors or this Program. 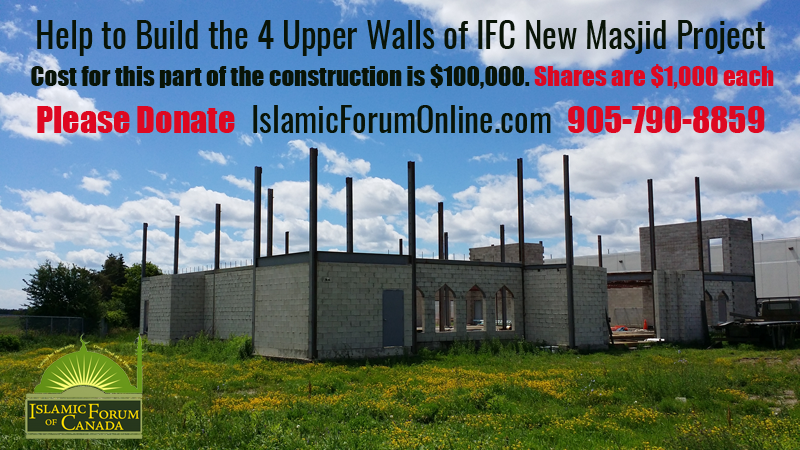 Donate today to support the Programs and Activities of the Islamic Forum of Canada. Become part of the Volunteer Team at IFC. This decision is based on INTERNATIONAL MOON SIGHTING CRITERIA. Kindly invite your relatives and friends, and all your loved ones to come with you to the Islamic Forum of Canada for EID-UL-FITR PROGRAM. Please forward this information to all your contact. * Kindly invite your relatives and friends to come with you to the Islamic Forum for the EID UL FITR PROGRAM. * Please distribute this information to all your contacts. It is important that you circulate this information to everyone you know, and may Allah bless you for helping us. * Kindly send your generous donation to the Islamic Forum. * Remember to pay your Zakaat and Sadaqatul Fitr. * Sadaqatul Fitr is $10.00 per person, payable before Eid Salaah. Please donate and get great blessings in this month of ‪#Ramadan‬. * Please contact the Islamic Forum of Canada if you have any questions. * kindly pass this information to all your acquaintances. * May Almighty Allah bless you and your family on this great occasion. * Once again, RAMADAN MUBARAK. The Islamic Forum of Canada wishes you and your family RAMADAN MUBARAK. INVITE YOUR RELATIVES AND FRIENDS TO COME WITH YOU. Forward this email to all your contacts. Please join us for the Taraweeh Program EVERY NIGHT throughout Ramadan. The best time to pay your Zakaat is in the Blessed Month of Ramadan. Kindly fill out the Zakaat Form, and send your Zakaat to the Islamic Forum. Every Saturday from 3:30 PM to 4:00 PM, on CTS TV Station, Channel 9. We need Financial Sponsors or this Program. We need your generous Donations Today ! For more information come out to the IFC and speak to the Organizers, or contact us online.